Jangan Tengok!!! 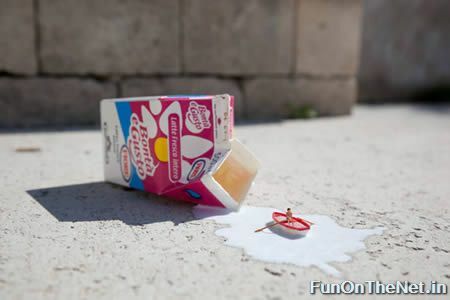 : 12 Fantastic Tiny Pieces of Art! 12 Fantastic Tiny Pieces of Art! Here are 12 fantastic tiny pieces of art from a three-dimensional bull the size of a red blood cell create by Japanese Engineers to the Incredible Hulk in the pin of a needle! 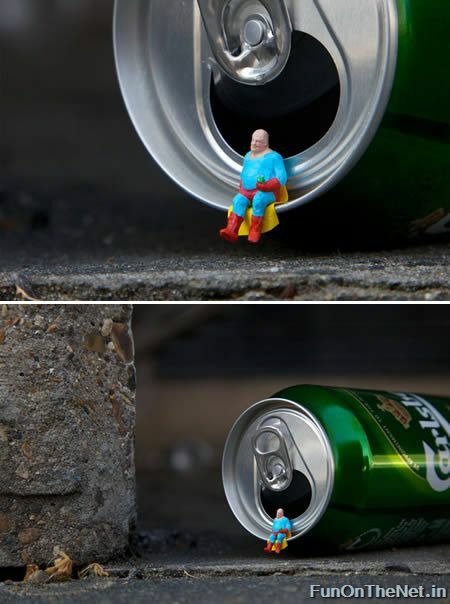 "Little People" is a fantastic street art project by artist Slinkachu, where photos are taken of tiny figures that are placed in public locations throughout London. This one is called "Overpowered." 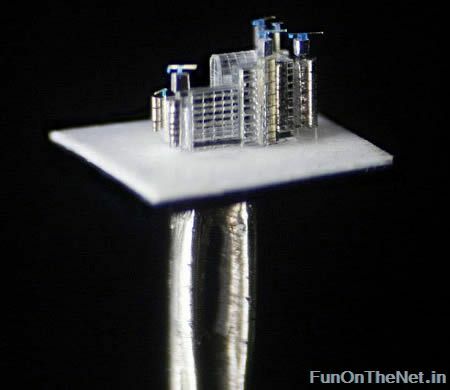 Willard Wigan is the creator of some of the world's smallest sculptures. The above scene is situated inside a sewing needle, it's a tribute to the Obama Family. Wigan takes months to complete a piece and works between heartbeats to avoid hand tremors. He uses a tiny surgical blade to carve his figures out of gold and grains of sand which are then mounted on pinheads. 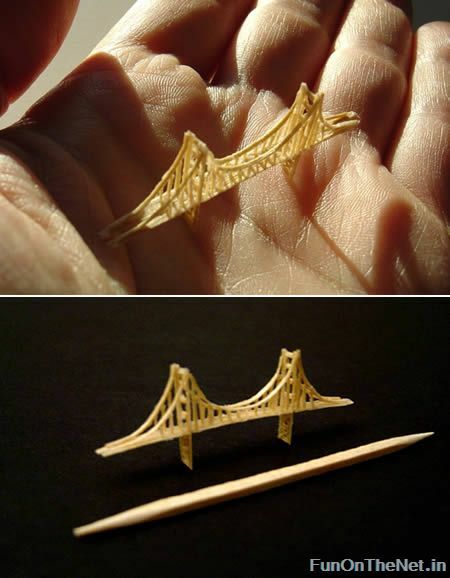 Toothpick artist Steven Backman has carved this miniature replica of San Francisco's landmark, the Golden Gate Bridge. Measuring 1 7/8”(L) x 1/8”(W) x 3/4”(H), it was sculpted from one single toothpick and glue. Online beauty site, FeelUnique commissioned artist Willard Wigan to create the world's first ever lipstick sculptures – of Brad and Angelina! The lippies, measuring 4mm by 9mm took over 50 hours to sculpt and will be auctioned off on the FeelUnique site, with all proceeds going to the Breast Cancer Campaign. Who says you can't put a camel through the eye of a needle? Russian miniaturist Nikolai Aldunin has fit seven through this one. The artist works between the beats of his heart, in order to keep his hands perfectly still. 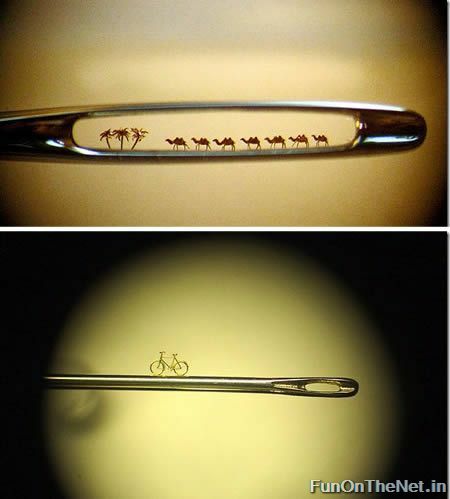 He creates works of art so tiny that a microscope is needed to see them. 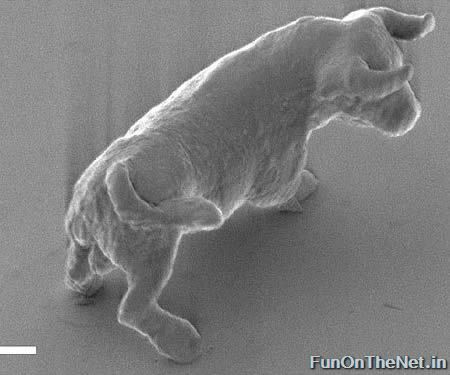 A team of Japanese engineers created the smallest statue ever. A three-dimensional bull the size of a red blood cell has been etched in plastic by engineers at Osaka University in Japan. Measuring only 10 by 7 micrometers -- one micrometer is one-thousandth of a millimeter -- the bull is the smallest truly three-dimensional sculpture ever created. This pin-head sized replica of the Lloyd's of London building, by Willard Wigan, has been sold for £94,000 at auction. The work, which took four months to be created using white gold and platinum, is no larger than a granule of sugar and must be viewed through a microscope. 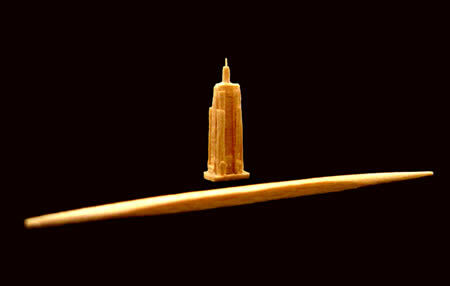 Also by artist Steven Backman, this is a miniature replica of the Empire State Building. 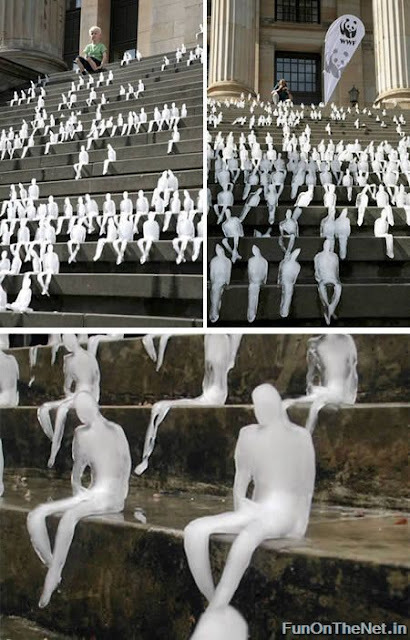 Brazilian artist Nele Azevedo diligently carved hundreds of miniature ice figures as part of a recent installation for WWF, only to watch them slowly melt in the heat of the day. As the sun beat down on the tiny sculptures they stooped and slumped, lending an ephemeral quality to the already very cool installation. Incredible Hulk, also by artist Willard Wigan. 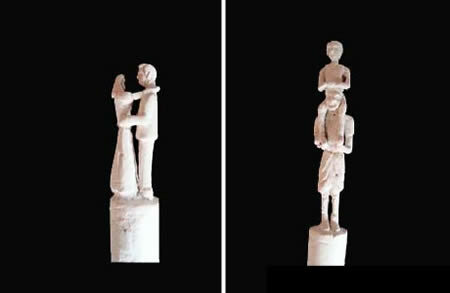 Tiny chalk sculptures by Thomas Jacob. Another sample of "Little People" at the Fame Festival in Grottaglie, Italy.